Our industry insights and experience is critical in delivering custom solutions to unique energy and utility requirements. This is what allows us to find more savings by customizing parameters for each customer’s unique situation. Experienced energy professionals make all the difference. Today, the Midwest Energy team has over 200 years of energy industry experience. 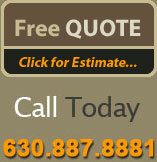 Midwest Energy employs individuals with a minimum of 5 years of experience in the energy industry. Our average industry experience per employee is 15+ years. Our team understands how energy suppliers and utilities operate and how to best deliver a cost effective quality solution. Midwest Energy serves a growing roster of 800+ electricity and natural gas customers throughout the nation, many of them Fortune 500 corporations. To date, Midwest Energy’s customer base represents more than 3,000 individual locations resulting in savings of tens of millions of dollars in energy supply costs. Contact Us today to learn how Midwest Energy can help your business reduce its energy supply costs.